There’s a full on King James-fest at the moment, a celebration of the 400th anniversary of the KJV. Amidst all the literary luvvies gushing over the quality of the prose and the RADA trained voices reading it in Radio 4 speak a few salient facts aren’t getting much attention. So here are ten things you ought to know about the KJV. 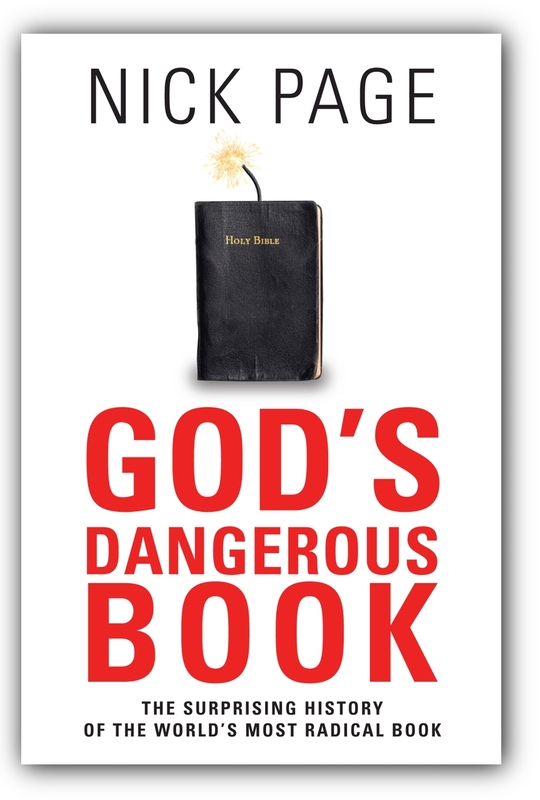 They are taken from God’s Dangerous Book – a book on the history of the Bible which I have coming out later this year. And the good news is, you can download the chapter on the King James for free. 1. It was widely ignored on publication. Far from being an instant classic, The King James, or Authorised Version, was widely ignored on first publication for one very good reason: hardly anyone wanted it in the first place. 2. It was never intended as a means of giving the Bible to the people: it was intended as a way of stopping them using the Bible they already had. The people already had a great English translation – the Geneva version. James I hated that because he thought its footnotes were seditious. So he specifically commanded that the new version should be done without footnotes. 3. It was a revision not a new translation. James ordered that it be based on the text of the Bishops’ Bible of 1568. James instructed that the new version was to be ‘as little altered as the truth of the original [i.e. the Bishop’s Bible] will permit’. For it is written in the booke of Psalmes, Let his habitation be void, and let no man dwel therein: also, Let another take his charge. It is difficult to imagine the writer of Psalms ever had in mind someone taking over a bishopric. 5. It’s a sanitised version. The Geneva Bible uses the word ‘tyrant’ over four hundred times to describe wicked kings and emperors. But you won’t find the word at all in the AV. It’s the king’s Bible – how can a divinely ordained monarch ever be a tyrant? 6. It was designed to be the preserve of the clergy and church. It was a lectern Bible – a massive book designed to be kept in a church and read to you. The Geneva Bible had tons of footnotes and introductions and maps and charts – it was the world’s first study Bible. The AV had nothing except a lengthy preface and then the lectionary. 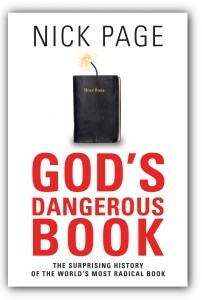 The powers behind the AV didn’t want the people to read the Bible: they wanted it read to them. 8. It’s mainly the work of Tyndale. The AV is still, primarily the work of the great William Tyndale. At least 83 per cent of the New Testament comes from Tyndale’s translation and 76 per cent of the Old Testament come from Tyndale’s work, with the AV translators just adding that sheen of impenetrable Jacobean literary bling. The AV has majesty and stateliness. But Tyndale has a levity, a homeliness which is entirely absent from the AV. According to Tyndale, ‘The Lord was with Joseph and he was a lucky fellow’; according to the AV ‘the Lord was with Joseph and he was a prosperous man’ (Gen. 39.2). See what’s happened? Joseph’s gone up in the world. Just like the Bible. 9. Even the translators themselves didn’t use it. Lancelot Andrewes, chairman of the AV translators, used the Geneva Bible for his sermons – as did several other bishops. Archbishop Laud, the man later given the task of suppressing the Geneva Bible, based his sermons on the Geneva Bible until the mid-1620s. Amazingly, even in the AV itself, in the preface, Bishop Smith makes a quote – and he quotes the Geneva Bible! When the Puritans from the Mayflower set foot on America, it was the Geneva Bible they carried with them, not the King James. 10. It succeeded because other versions were banned. The Geneva Bible continued to sell – and in huge numbers. Indeed, it proved so popular that in 1616 the King was forced to ban the printing of the Geneva Bible by any English press. Although people continued to import copies, eventually the ban worked and the AV became the default English translation. Without any serious competition, its sonorous, beautiful, fantastic prose wove itself into our culture. Its privileged position means that the AV has taken on a symbolic value. Just as everyone loves old English churches, but fewer and fewer go to worship, we cherish the AV, but hardly anyone reads it. A copy of the AV is what every household has, along with a dusty volume of the complete works of Shakespeare. Why do we love the King James Bible? Why did it come to dominate our culture? Because it sounds better than the original. To find out more, download the free sample chapter.